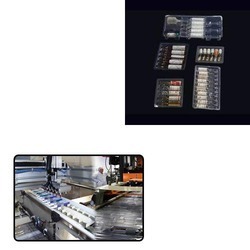 Leading Manufacturer of plastic injection trays for pharmaceutical industry from Umbergaon. We are one of the prominent manufacturers and suppliers of optimum quality Plastic Injection Trays for Pharmaceutical Industry. Manufactured in agreement with the industry laid standards, these trays are used for injection packaging applications in various pharmaceutical industries. These trays are delivered within the assured time frame at the customers’ end due to our wide distribution network, which is well-connected with different modes of transportation. Looking for Plastic Injection Trays for Pharmaceutical Industry ?